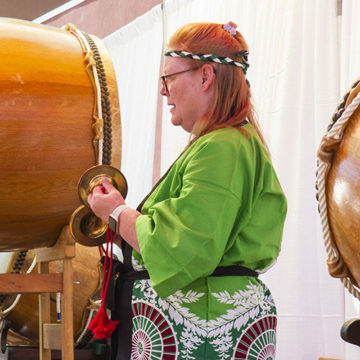 The New Mexico Taiko group was founded in 1981 through the New Mexico Japanese American Citizen’s league as an annual event for the Omatsuri festival held in Albuquerque. 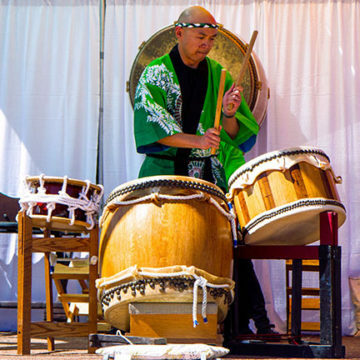 At this time the Omatsuri was a time for ethnic Japanese and Japanese-AMericans of New Mexico to celebrate their heritage and share it with the greater community. 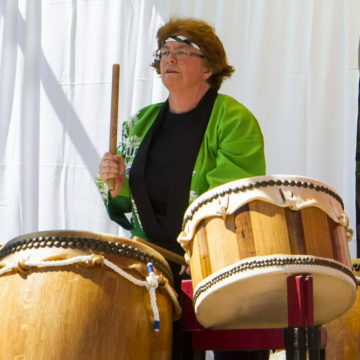 Although the group was not active from 1985-1995, the spirit of taiko and a renewed interest brought back this rich artistic heritage to showcase at the American/Japanese Week Event held in 1995. 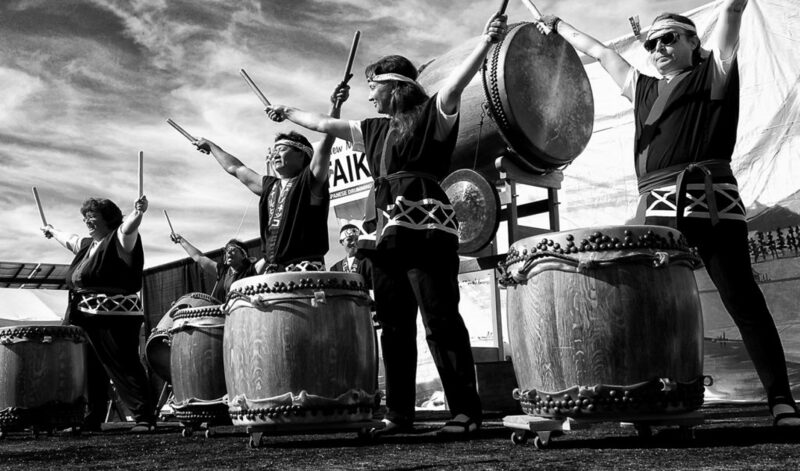 Since then, the New Mexico Taiko group has continued to preserve the cultural tradition of Japanese drumming. Its members wear the traditional kimono-style attire as they perform energizing choreographed performances of synchronized drumming. 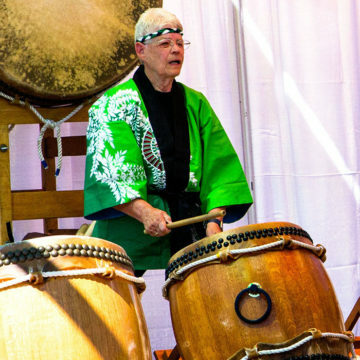 One of the founding members, Calvin Kobayashi remains as the head sensei (instructor) of the New Mexico Taiko group. 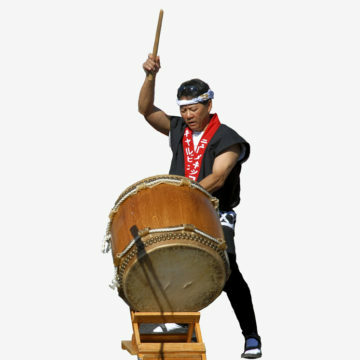 With over 20 years experience, he has trained with professional groups such as Denver Taiko, San Jose Taiko, Sawagi Taiko, and Kenny Endo. Anna has been playing taiko for 12+ years. She has been going to Japan for the last 20 years. She first started going to Japan to work with bonsai masters. However for the last 10 years she has been going to Japan to play taiko. ``My teacher allows me to bring back the pieces I learn and teach them to the group,`` says Turner. Anna also goes to Japan to work with her karate master. She has earned two black belts, one in Shotokan and another in Goju Ryu.